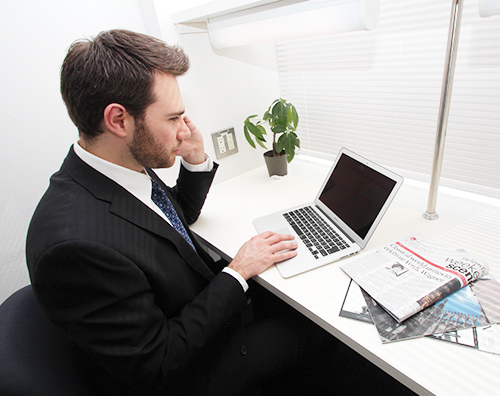 - Business Tips in Tokyo, Japan - Going to your first business in Tokyo!? How do you have an office in Tokyo!? Cozy and quiet, it is conducive to working!! Full time English speaker staff at the office!! There are rooms for 2 or 3 people!! 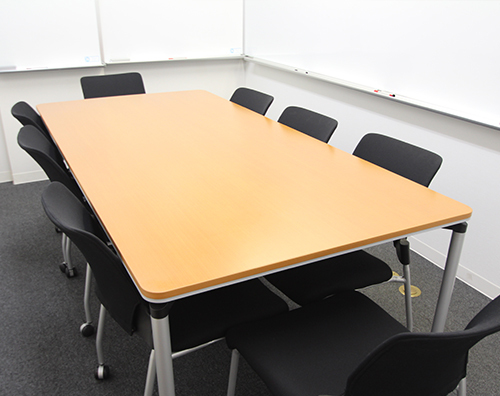 Meeting space is also available!! Have you heard of English magazine named "Metropolis"!? 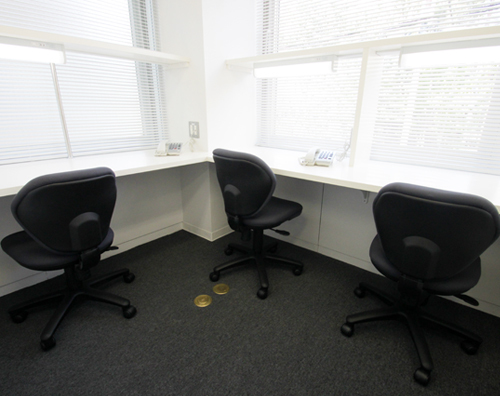 We have the interview about "Reatal Office Business garden" on their web site!! More detail!? Check the interview!! Hello all this is Shin!! I would like to introduce you about aquarium in Tokyo. It is in Ikebukuro station. There is big building end of this street. Sea lion shows as well! It takes 15min from Jimbocho to Ikebukuro. After visiting aquarium,you can go to Sakura cafe Ikebukuro! Hello ! I am A. Nukui trainee at SAKURA HOTEL JIMBOCHO. it takes 30min on foot from SAKURA HOTEL JIMBOCHO. There is not only zoo, but also so many museums in UENO PARK. You can enjoy without concerning weather! I went tokyo national museum yesterday. Enku'ｓ Buddhas : Sculptures from Senkoji Temple and the Hida Region. Enku (1632-95) was a Buddhist monk and sculptor who is said to have carved 120, 000 Buddhist statues in his lifetime while making pilgrimages to sacred mountains all over Japan. Conveying the wood's vitality, Enku's unostentatious statues of Buddha were favored by villagers from the Edo period (1603-1868) onward, and even today they attract many admirers. 【Heiseikan Special Exhibition Galleries】　will start from tomorrow. It will be a rare opportunity for a comprehensive view of treasures and cultural heritage related to Shinto shrines and deities. Hello everyone, this is sakura hotel jimbocho's staff Ayumi!! For today's blog let me introduce Asian and Ethnic foods restaurant in Tokyo. This is Thai food restaurant in Yokohama which is located in Kanagawa. They recommend Thai curry and rice. This is also Thai food restaurant. They recommend Tom Yam Kung. This is Turkish food restaurant in Marunouchi, Tokyo. We are also serving world curry in sakura cafe jimbocho!! Malaysia chicken curry,Tahiti curry, Indonesia curry, Thai yellow curry!! Which one do you prefer?? Hello all, this is staff Ayumi. Today is good day to go out. We are serving some world snacks and muffins. Have you ever eat these snacks? Why don't you drink tea or coffee with these snack in our terrace. We also have world beers and cocktails. You can enjoy it with　world snacks!! Today is really good weather! Today I will write about Popular Japanese souvenir store in Omotesando! where takes only 10 mins from Sakura hotel Jimbocho. You can find here very easy ! n front of the shopping mall "Omotesando-Hills"
I think this is on a guide book! that why people come here! If you have been to here please tell what you bought ? hi,there.I'm gonna do this coke project.when u feel down,visit sakura cafe. Please become high through coca cola. coca cola makes everything better. Ｈｅｌｌｏ！I'm A.NUKUI trainee at SAKURA HOTEL JIMBOCHO. Have you ever been to Design Festa? It's the biggest art festival in Asia and has been taken placed 2 times in a year since2004. Many artistｓ come from all over the world.Ｎext Design festa is 18.19 MAY. One of my friend who also exhibitor of this festicval, his name is Nijisuke. I met him 4years ago when I was world sea voyage, he was also passenger. 前回のデザインフェスタで彼の多くの作品を間近で見て以来、もう彼の作品の虜になりました。And I am a big fun of him. New Spring Special Offer currently available! Have you ever seen Tokyo station? I think Tokyo station is one of beautiful stations in Japan. There were lots of people who are taking pictures of Tokyo station. Please check our beautiful station. In addition, there are lots of restaurant and shop. You can enjoy around Tokyo station. PLEASE DRINK COKE AT SAKURA CAFE!! how was your first experience to drink Coke? - Hotel in Tokyo - This is it!! Poster girls and good looking guy!! Sakura Hotel Jimbocho. - Hotel in Tokyo - Shps and restaurant on Sakura street near Sakura Hotel Jimbocho !! Try something Japanesey!! Copyright © 2004-2018 SAKURA HOTEL JIMBOCHO. All Rights Reserved.